InfoPath has long been one of the most widely used SharePoint forms, in part because of its end-user friendliness and for its capability to access numerous data sources, all with little to no coding. But the usability of the software had become dated, and so Microsoft made the decision that InfoPath 2013 would be the last version of the application to be released. It will still be supported in SharePoint 2016 and will continue to be until 2023. The forms services in Office 365 will be ‘supported until further notice’. Users are now actively looking for alternative ways of creating forms in SharePoint, so we'll list a few of our favorites in the following article. What Is an InfoPath Form? Initially launched as part of Office 2003, Microsoft InfoPath is a software that allows users to create complex electronic forms containing validation rules, actions, workflows and more. These smart forms can then easily be published to SharePoint, where users can fill it out directly in their browser. InfoPath was greatly utilized during the early years of its tenure; businesses were able to build forms that supported calculations, external data sources, conditional formatting, and custom code inside the form itself. Over time, however, some of the tool’s limitations came to the surface; the most prominent of which being its XML foundations. This leads to users experiencing certain issues when forms are published in SharePoint, such as HTML rendering issues. The mobile versions of forms were also found to be quite lacking, a growing contradiction to Microsoft’s “mobile-first, cloud-first” mantra. Given the popularity of Microsoft's latest work (see here Window 10), and the success of Office 365, they’re sure to be keen to give the new InfoPath-replacement solution the same multi-device, multi-functionality treatment that their other products have seen in recent times - i.e. a solution that aligns with SharePoint Online, Office 365, Windows Phones, and Windows 10. Aside from that, however, there’s not really a lot for us to go on in terms of a successor. So, to tide you over (hopefully not until 2023), here is the list we've compiled of some of the best InfoPath alternatives available for SharePoint. and make use of native SharePoint and Office 365 features like managed metadata, external lists, drop-down menus and more. The forms solution is built on top of SharePoint, so there’s no need for an additional client application. Nintex Workflows & Forms Deployment Ebook. Custom forms give you as much free rein in the creation process as you wish, as long as you have the technical know-how. Creating a form in Visual Studio means you can pretty much build whatever you want, and is suitable for a range of different technologies. The downside of having so much possibility is there’s very little direction, so you must be (or acquire) a SharePoint developer who really knows their stuff. For building complex forms, this is the most flexible and rewarding route to take. These are also known as ‘Forms on Spreadsheets’, and use a plain Excel worksheet to store the entered form data. Excel surveys can be created in OneDrive and OneDrive for Business, and are perfect for creating light, simple SharePoint forms. This Microsoft Office support article will guide you through the creation process. Part of the update to SharePoint 2013, Access apps are databases to be used in a standard web browser. 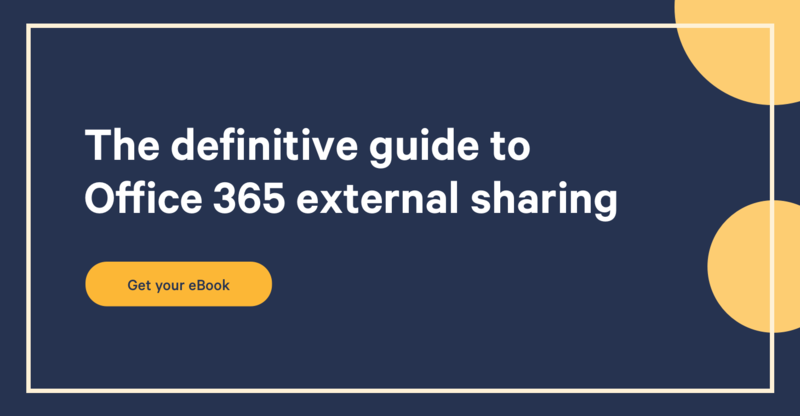 The data is stored in SQL Server or Azure SQL database, so the data can be shared within your company using SharePoint On-Premises or Office 365. Access can be used to build self-contained apps with relational data, complete with a SharePoint form for each data table. By using Structured Documents, creating forms can be done internally in Microsoft Word. Users can use Word’s page formatting	capabilities to design a form that looks just like it does on paper. In a similar sense to using Excel, this is an incredibly simple and straightforward method for creating forms, but sacrifices complexity and functionality with it. The need for forms in SharePoint sure remains, and it's safe to say that Microsoft's decision to pull the plug on InfoPath is an enlightened one. But when you've been using the same SharePoint form software since the beginning, it can seem daunting to analyze every alternative and to change old ways. Well fear no more, we're here to help. 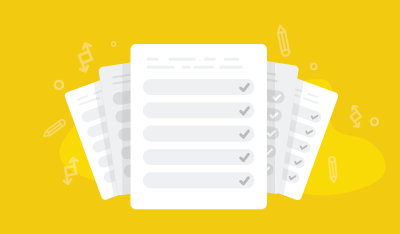 At Sharegate, we recommend that you keep any existing InfoPath forms as is, and if ever you decide to migrate your content to another environment, we support InfoPath form migration. Moving forward, if we had to pick one among the five suggested choices, we would definitely recommend Nintex forms. Nintex is well versed in SharePoint and Office 365 integrations and has proven time and time again to be user-friendly and efficient. Hopefully this article has helped you make an informed decision on an InfoPath replacement. What alternative(s) have you adopted since then?